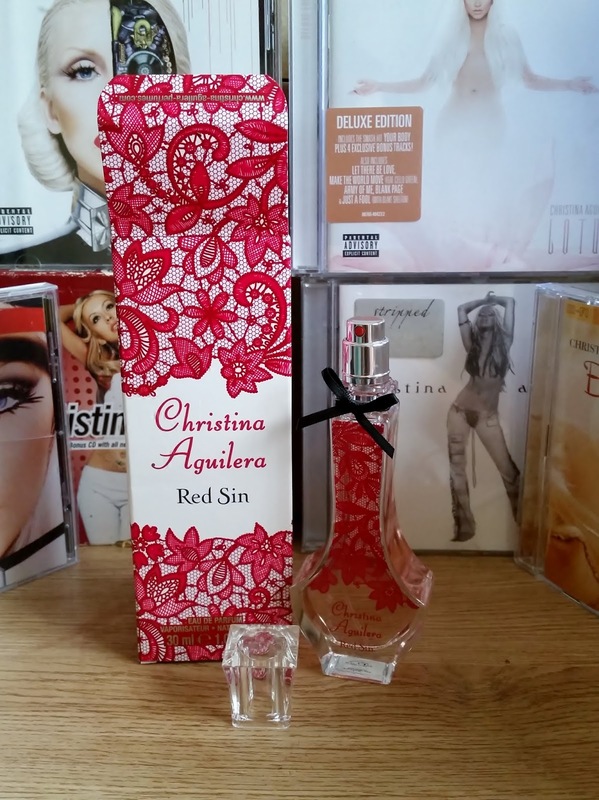 scent which was on sale in Argos. 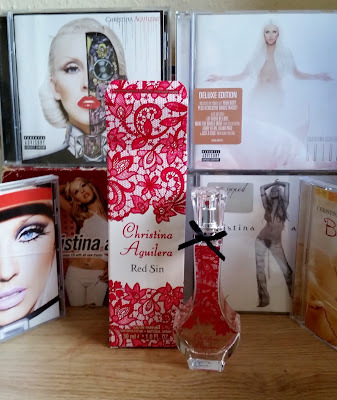 I have always wanted to try Christina's scents for a long time but for some reason i have not got around to purchasing one. 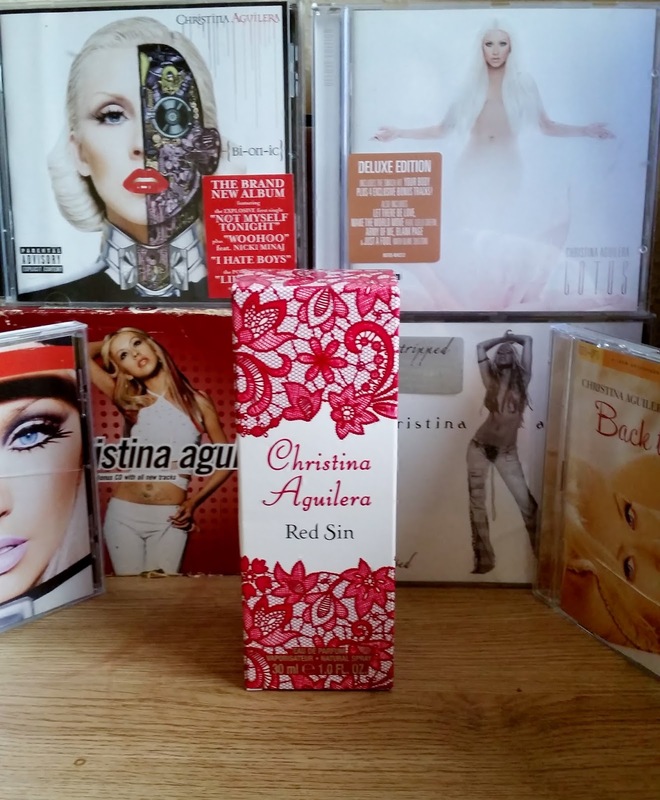 Red Sin by Christina was quickly purchased and i couldn't wait to find out what the scent would smell like and if it would be any different from the scents i have so far. The box comes in quite a funky design with red flowers blazoned around from front to back. 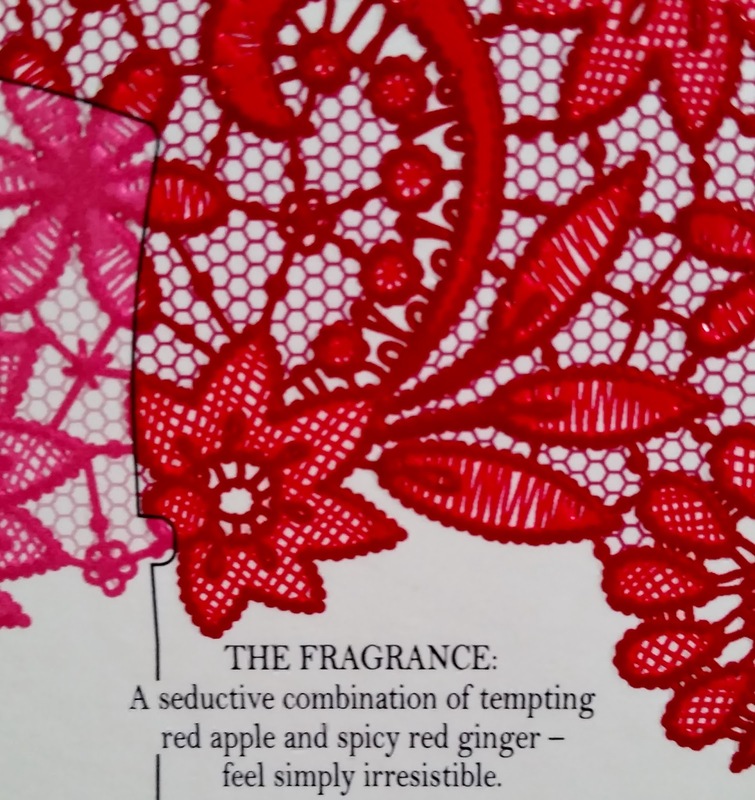 and spicy red ginger - feel simply irresistible. The bottle is quite a unique shape and fits really easily into your hand. The red flower design on the front of this clear bottle, yes clear! So u can see just how much you have left which is an added bonus! With a clear head spray stopper and an added black lace bow sitting pretty around the neck this really does give it that added appeal that sets itself apart from other bottles. There is also spicy cinnamon that features in the top notes. ( i guess that's where the design on the bottle comes from) that is traditionally used in love potions. Warm Red Ginger, Musk, Exotic Sandalwood. Warm Spicy, Fruity, Cinnamon, Fresh spicy. On opening Red Sin bursts open your senses with a delightful warm red apple note with a touch of sweetness, not overly sweet like candy but just the right amount to stop this apple from smelling sour. Those Cyclamen flowers really do sit pretty well complimenting the red apple and neither one is out doing each other. Cinnamon does add a touch of spice, but is not overly spicy. This is a nice note to add by not letting the sweetness runaway with itself. 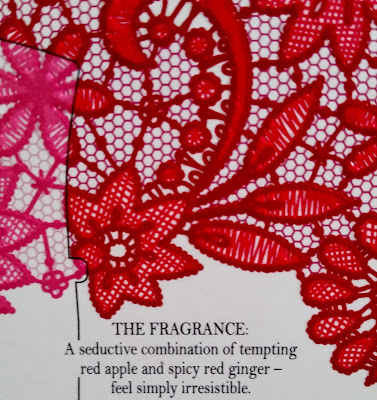 On dry down this then proceeds to lovely musk with an added warmth that comes from the red ginger but still being able to smell the red apple. This really is a scent that isn't like another scent in my collection! An individual that possesses a unique soft scent with its own character. Longevity is quite good lasting all day and projection is really impressive even though Red Sin drys down close to the skin. You really do need to try this Love Potion ❤ !